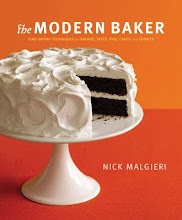 “What makes Tuscan bread unique in the bread lexicon is that it is salt free….” So begins Peter Reinhart’s description of the 38th recipe in the Bread Baker’s Apprentice Challenge. If ever there was a way to get me excited about trying a new bread, well, this wasn’t it. 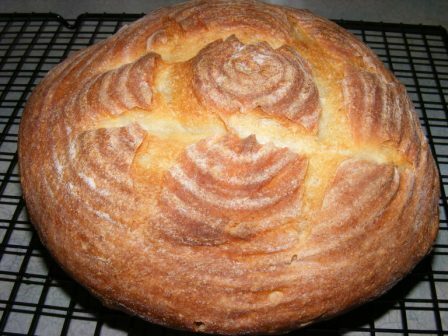 As we have learned throughout the Challenge, the four basic components of bread are flour, water, yeast (wild or commercial), and salt. 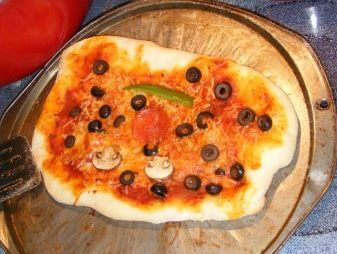 You can adjust the quantities of these components, or add other ingredients. 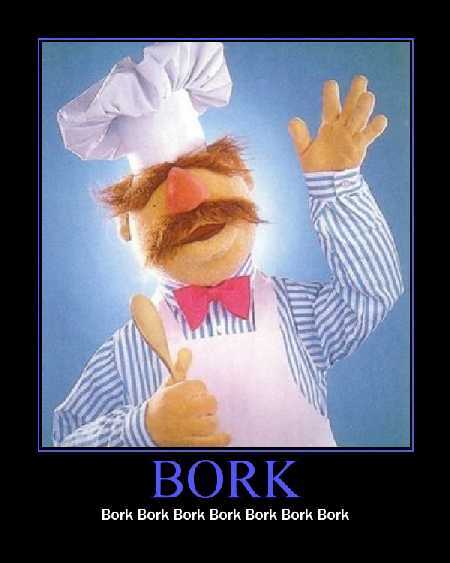 But you don’t leave out any of the four basic ingredients. So I was fairly suspicious of this bread from the beginning. I mean, wouldn’t salt-free bread be as bland as, well, salt-free food? Ah, well, it was next on the list, so I would press on. 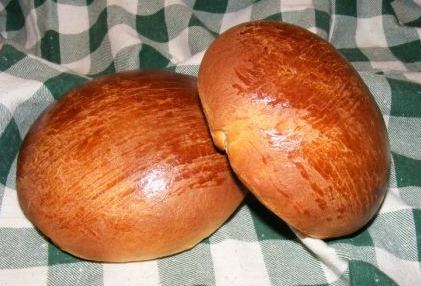 Other than not using any salt, this bread is unique in that it calls for a flour paste, which is made by mixing flour and boiling water. 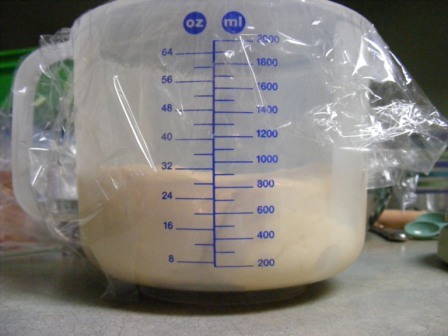 This mixture is allowed to sit out overnight (or up to 2 days). 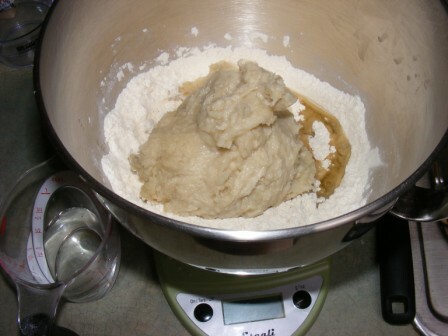 The mixture does not ferment, as there is no yeast added to it, but the boiling water causes the starches in the flour to gelatinize, which (theoretically) adds flavor to the finished bread. 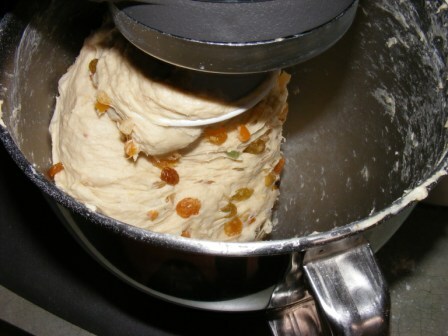 In addition to the flour paste, the dough consists of flour, yeast, oil, and water, all of which is combined and kneaded by hand or mixed in a stand mixer. 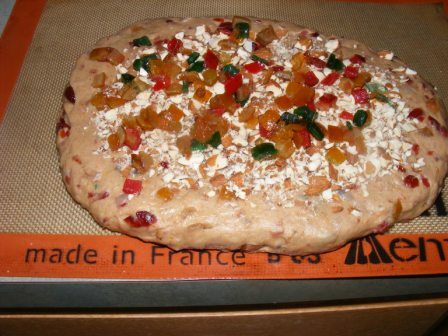 The dough had a really nice feel to it, about the texture of French bread dough. 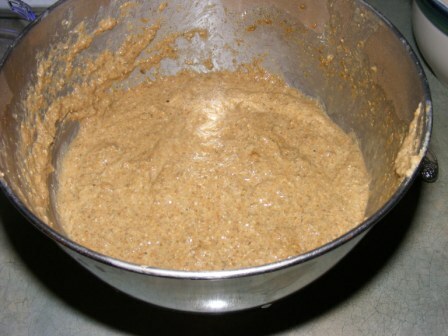 After mixing, the dough is placed in an oiled bowl and allowed to ferment for about 2 hours. 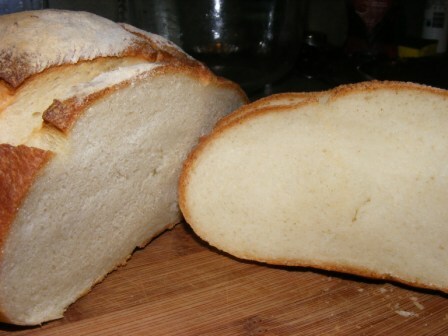 Another function of salt in bread, besides the obvious one of taste, is that it tempers the action of the yeast. So it didn’t surprise me that this dough, sans salt, rose really fast. 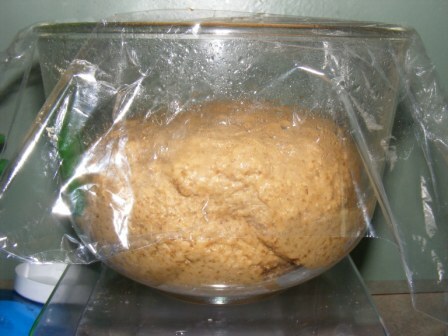 In fact, I had to knead it down about halfway through the fermentation stage to keep it from rising too much. 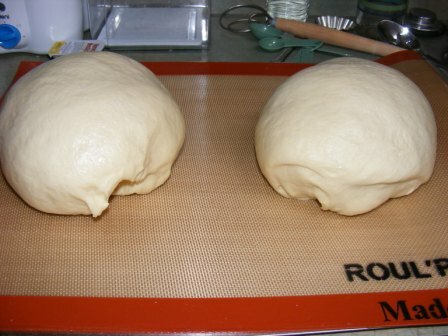 After the dough had fermented, I shaped it into two boules, which I covered with plastic wrap and set aside to proof. 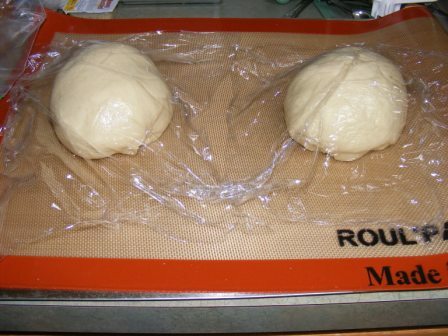 Again, the dough rose like crazy, and within about 60 minutes, the loaves were ready to bake. 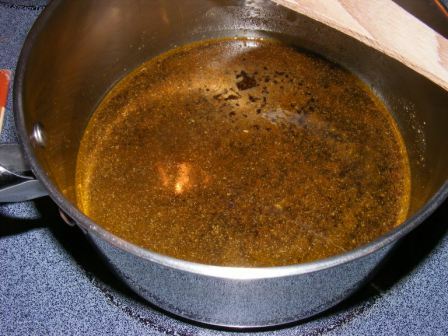 In another departure from prior BBA recipes, instead of adding a cup of water to a steam pan when the loaves are loaded into the oven, the oven is preheated to 500 degrees with 2 cups of water already in the steam pan. 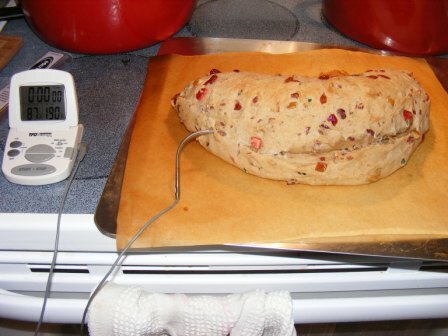 The loaves are baked for 20-30 minutes, until the internal temperature reaches 200 degrees. 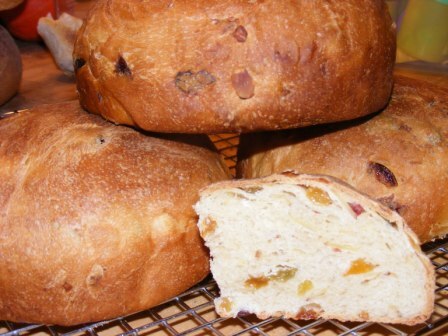 The bread looked great and smelled fantastic. 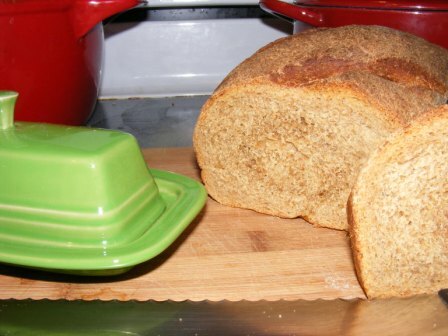 And when I cut into a loaf, it had a nice, tight crumb. But, the big question was, how would it taste? 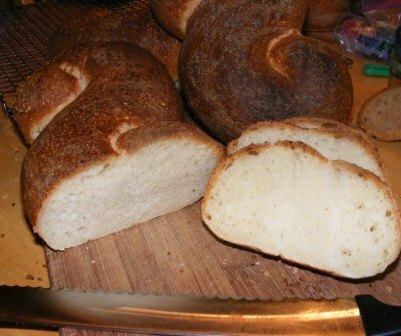 Could a salt-free bread really stand up to the other amazing breads that have come out of the BBA Challenge? 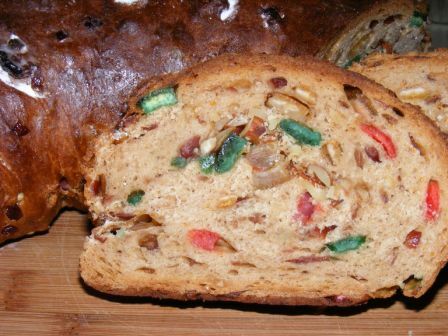 Would the flour paste make such a huge flavor difference that, as PR suggests, I might decide to incorporate it into other bread recipes? In a word — meh. Oh, well, it was worth a shot. Nothing ventured, nothing gained. 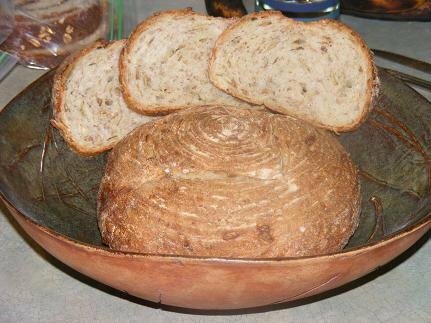 I guess at the end of the day, I have to agree with the poet George Herbert, who said, “Of all smells, bread; of all tastes, salt.” I’m sure he never considered eating salt-free bread. I’m pretty sure I won’t consider it agian, either. 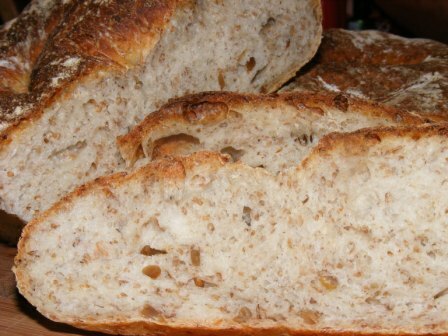 Sunflower Seed Rye, the 35th bread (out of 43) in the Bread Baker’s Apprentice Challenge, is also the last in a series of sourdough breads featured in The Bread Baker’s Apprentice. 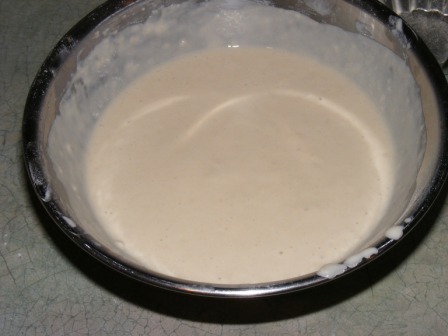 If you have read my blog before, you know I am a big fan of sourdough, often adding it to yeast bread recipes and having gone so far as to make a sourdough starter tutorial. 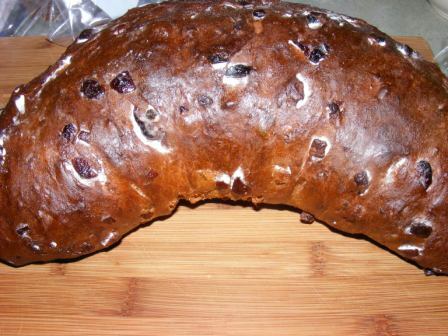 Needless to say, I loved this bread. And my wife, who is a sunflower seed fanatic, was pretty fond of it, too. 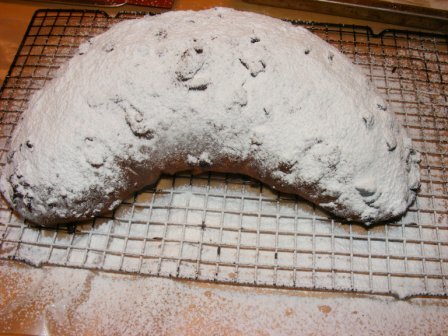 This bread starts with a soaker of pumpernickel grind rye flour and water. In a departure from many of Peter Reinhart‘s other sourdough recipes, this recipe calls for instant yeast, in addition to the firm starter. 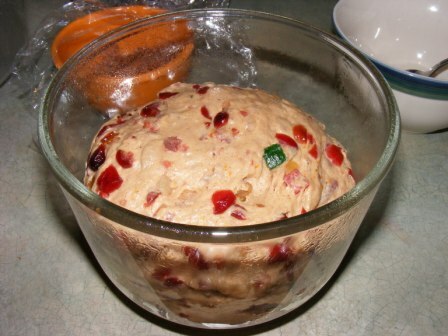 I made the soaker and firm starter the day before making the dough. 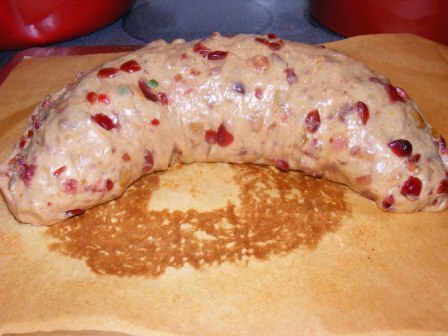 The dough was supple, soft and just a tad on the tacky side. 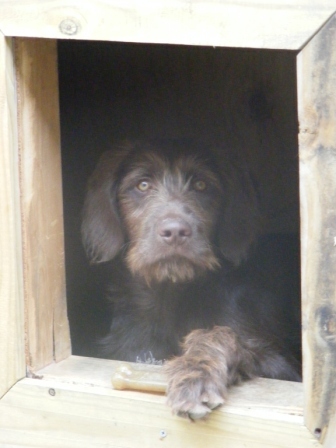 Although I’ve had mixed results stirring in fruit, nuts, etc. 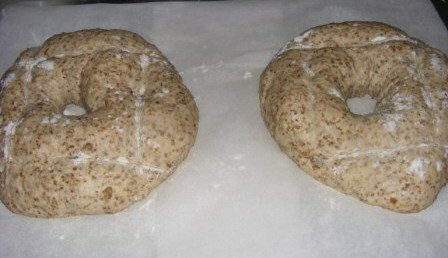 with the Kitchen Aid dough hook, the sunflower seeds folded in easily and didn’t change the consistency of the dough. 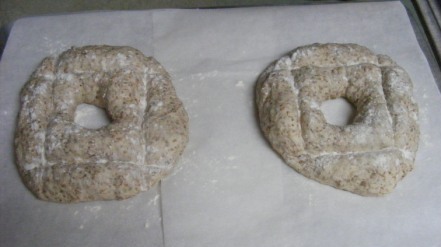 After a 90-minute fermentation, I divided the dough in half and shaped each piece into a couronne, or crown. 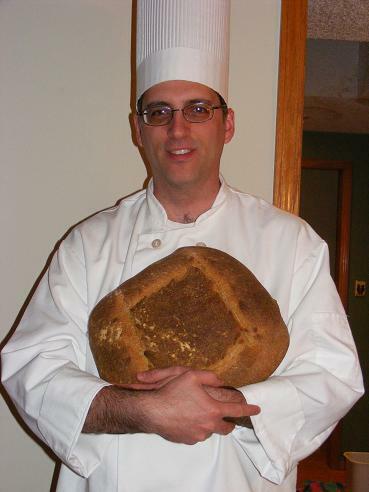 This is done by making a boule, poking a hole in the middle, stretching it into a giant bagel shape, and finally pressing a dowel (or in my case, the handle of a wooden spoon) into four sides of the dough. 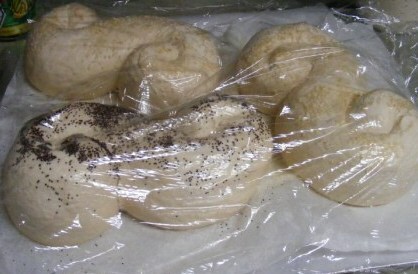 I dusted the creases with flour to help keep them from growing shut as the bread proofed. 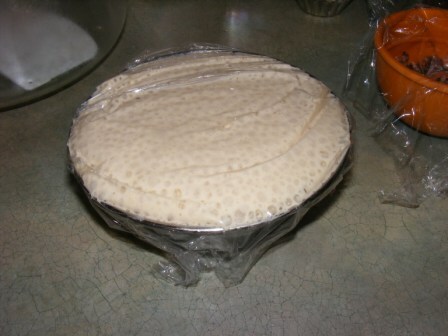 I proofed the dough for about 90 minutes, until it grew to about 1 1/2 times its original size. While the dough was proofing, I got the oven ready by putting a roasting pan on the bottom shelf and preheating the oven to 500 dF. 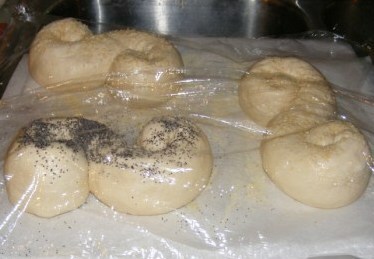 I proofed the bread on parchment paper that I had placed on a baking sheet, and when the dough was ready, I put the baking sheet in the oven and poured a cup of boiling water into the roasting pan. 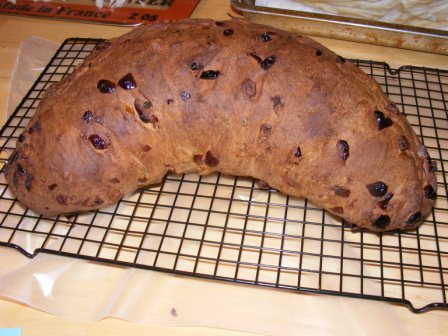 I lowered the heat to 450 and baked the loaves for about 25 minutes, rotating them after 10 minutes. 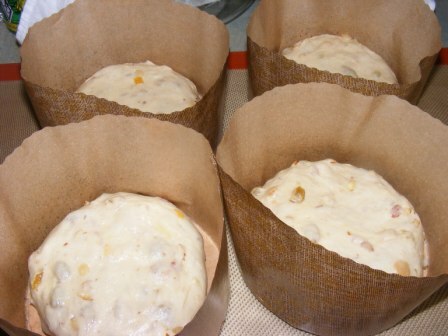 The loaves looked pretty nice when they came out, even though the holes baked closed. 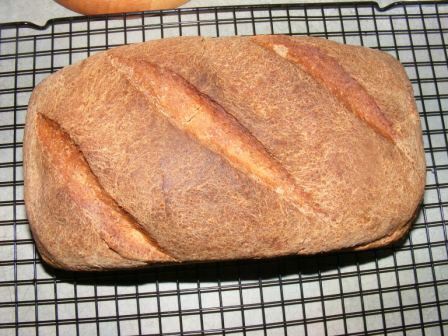 The bread was delicious, with a nice tang from the sourdough, a sweet saltiness from the sunflower seeds, and a robust flavor from the rye — definitely a bread worth making again.